RUSTIC ARMOR & WEAPONS is a hi-res retexture of select armors and weapons of Skyrim. 4K and 2K resolutions available. 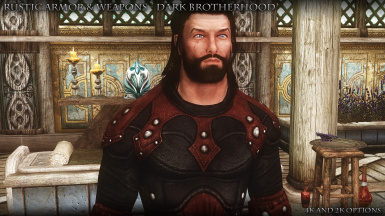 RUSTIC DAEDRA SSE is a high resolution retexture of Skyrim's daedra. This includes the elemental daedra (the flame, frost, and storm atronachs), as well as the Dragonborn daedra, the lurker and seeker. 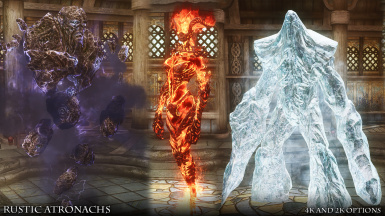 Also included are the Dawnguard ancient frost atronach, and the Dragonborn ash guardian. 4K and 2K textures available. 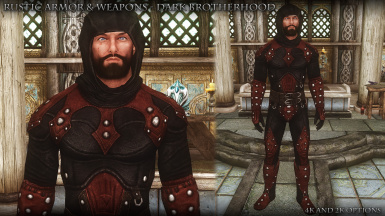 RUSTIC DAEDRA is a high resolution retexture of Skyrim's daedra. This includes the elemental daedra (the flame, frost, and storm atronachs), as well as the Dragonborn daedra, the lurker and seeker. Also included are the Dawnguard ancient frost atronach, and the Dragonborn ash guardian. 4K and 2K textures available. 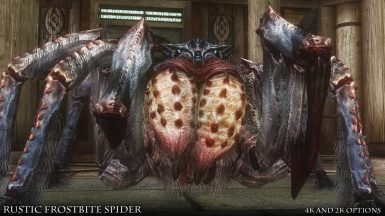 RUSTIC FROSTBITE SPIDER is a high resolution retexture of the neglected Frostbite Spider, which Bethesda only made 1K textures for. Hardly sufficient for the giant spiders in the game. 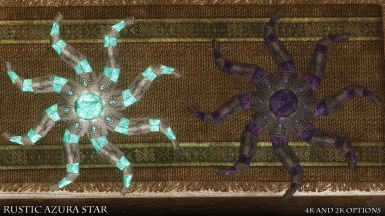 RUSTIC AZURA'S STAR - Special Edition is a hi-res retexture of the daedric artifact, Azura's Star. 4K and 2K resolutions are available. RUSTIC AZURA'S STAR is a hi-res retexture of the daedric artifact, Azura's Star. 4K and 2K resolutions are available. A hi-res retexture of the long neglected forsworn armor. Available in 4K and 2K resolution options. RUSTIC SPRIGGAN - Special Edition is a hi-res retexture of the four types of Spriggans found in Skyrim. 4K and 2K texture options available. New animated leaf effect textures added as an optional download. 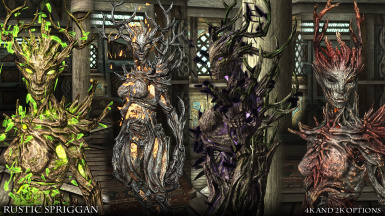 RUSTIC SPRIGGAN is a hi-res retexture of the four types of Spriggans found in Skyrim. 4K and 2K texture options available. Optional textures for the animated leaf effect added. 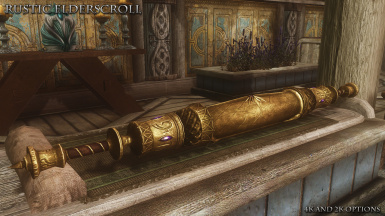 A rustic retexture of the Elderscroll, available in 4K and 2K textures. 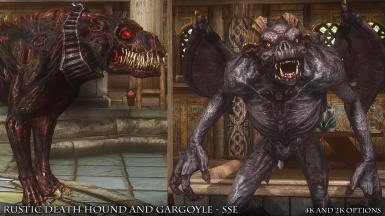 High resolution retextures of the Death Hound and Gargoyles from Dawnguard. The Death Hound is available in two color versions. Choose the one you like best. 4K and 2K resolutions available. 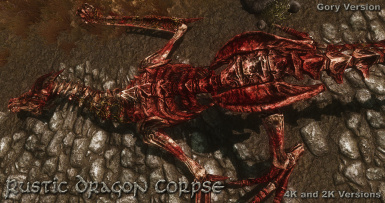 A mod that adds differentiation between freshly killed dragons and old dragon remains. 4K and 2K texture versions available. A "rustic" retexture of the main cooking stations, the spit, stewpot, and oven. Includes retextures for the stew, cooked beef, cooked venison, and cooked goat. Also included are retextures for cheese and cabbage. 2K and 1K versions available. This is a collection of my Rustic clutter item retextures. The mod includes RUSTIC DINNERWARE, RUSTIC POTTERY, and RUSTIC SILVERWARE. 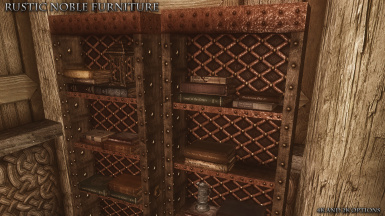 There are also a few other clutter items like mead bottles, wine bottles, the satchel, knapsack, coin purse, strongbox, safe, prisoner cage, and the dwemer lexicon cubes. 2K and 1K versions available. Hi-res textures and modified meshes for the soulgems. Transparency has been added, as well as a subtle color shifting effect. Each soulgem now has it's own diffuse texture. Included is a retexture of the soulgem holder. 2K and 1K versions available. 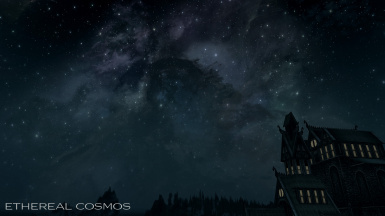 Ethereal Cosmos brings all new textures to the Skyrim galaxy, stars, and constellations. It was created to enhance the beauty of Skyrim nights.